For those who reside in the lake districts of Florida, owning a boat can be great fun. Be it for fishing with family or bringing the friends on water skis, spending some time on the waves can provide you some priceless memories. Yes, obviously there will be some expenses and you can’t expect pleasure for free. So are the boats as well. 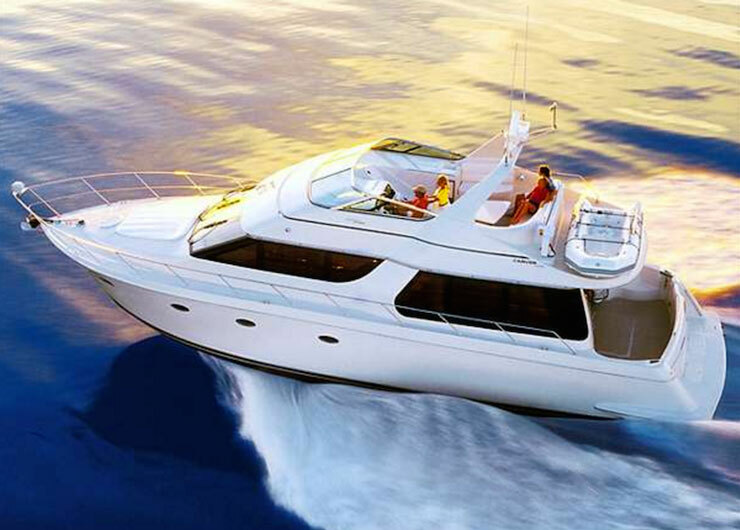 As a result of it, most of the people feel the need for a boat loan in Florida to make the best purchase of their life. But before starting up with the process, there are certain tips which if considered might help in issuing some loans. l Where to Apply for a Loan? Boat loans are almost similar to the ones that you might apply for while buying a car. You may find some financial help from the banks or the dealerships or may be some private organizations who offer loans. The difference that one might face with each of these agencies is in the rate of interests. Shopping for a loan is a latest trend followed in the market. The experts say that finding a dealership for financing a boat is the best option since it tends to be a better deal in buying a new boat than an used one. There are some kind of rebates available in the market, like the manufacturer’s rebates which can be provided by the dealers only. Finding a bank for providing you with a loan is never a tough task, as long as you keep paying the high rate of interests, they’re always ready to grant you as much loan as you want. l What are the Different Types of Loan? Depending on the credits, there are different types of boat loans in Florida that are available. There’s the fixed rate collateral loan which sounds to be similar to the one that is being applied and granted while purchasing a new car. ▪ Fixed Rate Collateral loan– While purchasing a car, the common of all the loans that are generally provided by the lenders is the fixed rate collateral loan. In this, the lender gives the money and in return uses the boat as the collateral. If there’s any default in the monthly installment payment, then you lose the possession over your boat. Depending on the type of lender you choose, the down payment for the loan varies. ▪ Home Equity Loan– If your home is of considerable size and amount for equity, then home equity loan is one of the favorable option for purchasing a loan. The interest that will be paid henceforth is tax deductible, but being a borrower you should be aware of it, or else it turns out to be collateral. ▪ Personal Loan– For those who generally have a high credit score, they might find it suitable enough for buying a boat with a personal loan. These types of loan don’t have any kind of collateral system. As a result of it, the rate of interests tend to be higher and there’s a risk of the credit score having a major hit, if you fail to pay by chance. Having a boat to cruise on the open waters is no doubt an exciting idea, but you can’t avoid the financial responsibility that comes along with. So make your choice wisely before treading forward. How Do Wheaton Glass Bottles Work?